Sue B. Clark is the Chief Science and Technology Officer and a Battelle Fellow in the Energy and Environment Directorate at Pacific Northwest National Laboratory. She is jointly appointed at PNNL and at Washington State University, where she is a Regents Distinguished Professor of Chemistry. In this joint appointment, she leads a research effort focused on the chemistry and chemical engineering of processing nuclear materials. Dr. Clark is an internationally renowned environmental radiochemist who has published more than 120 peer-reviewed papers focused on actinides in the environment, chemistry of high-level radioactive waste systems, and radioanalytical chemistry. At WSU, she developed the radiochemistry program in the Chemistry Department. She joined PNNL in January 2015 to lead multiple nuclear science initiatives. Since becoming CSTO in September 2017, she also is responsible for stewarding institutional investments in energy and environment research and development. Her current research areas include chemistry of radioactive waste systems, environmental chemistry, actinide separations, and radioanalytical chemistry. Her research support includes grants and contracts from the U.S. Department of Defense, the U.S. Department of Homeland Security, the U.S. Nuclear Regulatory Commission, and the U.S. Department of Energy's Office of Science and National Nuclear Security Administration. She joined PNNL as a joint appointee in January 2015. She began her academic career at WSU in the Chemistry Department in 1996 as an Assistant Professor, and served as Department Chair (Aug. 2005 - Dec. 2007). She also served as Interim Vice Chancellor for Academic Affairs at the WSU Tri-Cities campus from Jan. 2008 - Aug. 2008, and Interim Dean of the College of Sciences (WSU system-wide) from July - Dec. 2010. Previously, she held an appointment to the U.S. Nuclear Waste Technical Review Board, appointed by President Barack Obama (2011-2014). Professor Clark is a fellow of the American Association for the Advancement of Science (AAAS), the American Chemical Society (ACS), and is the 2012 recipient of the ACS's Olin-Garvan Medal. She is also an elected member of the Washington State Academy of Sciences and serves on its board of directors. 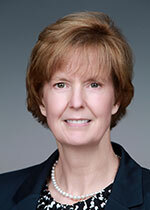 She served as an elected member of the Governing Board for the U.S. Council for Chemical Research from 2009 to 2011. She also served on the National Academy's Nuclear and Radiation Studies Board from 2004 to 2009, and was a member of many of the study committees established by the Board. She served on the Basic Energy Sciences Advisory Committee for the U.S. DOE (2003 - 2011), and has served as a consultant to Battelle Memorial Institute and the Helmholtz Association of German Research Centers. She holds a BS degree in Chemistry from Lander College (Greenwood, SC) and MS and Ph.D. degrees in Chemistry from Florida State University (Tallahassee, FL). Prior to joining Washington State University, she was an Assistant Research Ecologist at the University of Georgia's Savannah River Ecology Laboratory (1992-1996), and Senior Scientist at Westinghouse Savannah River Company's Savannah River Technology Center (1989-1992). Doctorate, Inorganic/Radiochemistry, The Florida State University. Clark S.B., M.V. Buchanan, and B. Wilmarth. 2016. Basic Research Needs for Environmental Management. PNNL-25166. Richland, WA: Pacific Northwest National Laboratory. Douglas M., S.B. Clark, J.I. Friese, B.W. Arey, E.C. Buck, and B.D. Hanson. 2005. "Neptunium(V) Partitioning to Uranium(VI) Oxide and Peroxide Solids." Environmental Science & Technology 39, no. 11:4117-4124. PNNL-SA-44460.